I already paid for ZenCache Pro; do I need to buy Comet Cache Pro? How do I install Comet Cache if I already have ZenCache installed? Can I delete ZenCache Pro? Will my old ZenCache settings carry over to Comet Cache? If I had plugins/themes that were customized to integrate with ZenCache, will those customizations still work with Comet Cache? What if I don't remember my account details for ZenCache Pro? If I configure Comet Cache Pro to perform automatic updates, what license key should I enter? The one for ZenCache Pro, or the one for Comet Cache Pro? I received a Fatal Error while migrating; help! When installing the Comet Cache Pro plugin, Comet Cache will automatically detect and preserve any existing ZenCache Pro settings. All of this happens automatically; all you need to do is deactivate ZenCache and then install the Comet Cache plugin. 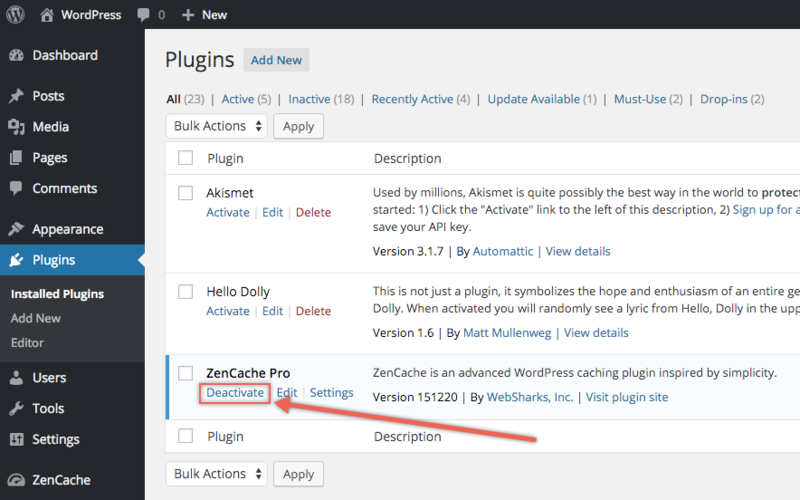 Once you have verified that your ZenCache settings were migrated over, you can delete the ZenCache plugin. See also: Announcing Comet Cache™ (formerly ZenCache). As an existing ZenCache Pro customer, your ZenCache Pro license entitles you to a free copy of Comet Cache Pro. There is no need to purchase Comet Cache Pro if you already own ZenCache Pro. Please follow the steps below to use your existing customer account from ZenCache.com to login to CometCache.com, where you'll be able to access Comet Cache Pro and your free Comet Cache Pro license. Collect your existing account details for ZenCache Pro. You will need your username/password for ZenCache.com; i.e., the old site that was for ZenCache Pro. If you lost those details, you can recover them here. Use those exact same login credentials to access an account that is now waiting for you at CometCache.com; i.e., please log into CometCache.com with your existing ZenCache.com username/password. This works for existing ZenCache Pro customers only. 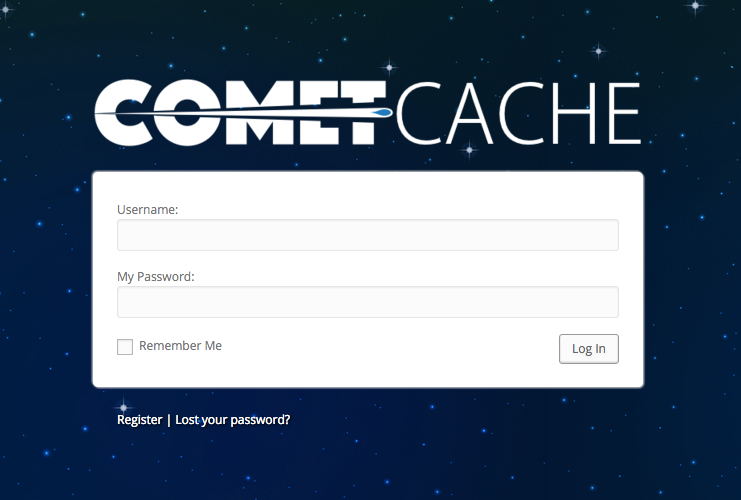 Visit your My Account page at CometCache.com, where you may now obtain a free copy of Comet Cache Pro. Please download the comet-cache-pro.zip file from this page. If you have ZenCache or ZenCache Pro currently active, deactivate ZenCache before installing Comet Cache Pro. Now upload and activate comet-cache-pro.zip (or it might be named something like: comet-cache-pro-vXXXXXX.zip). 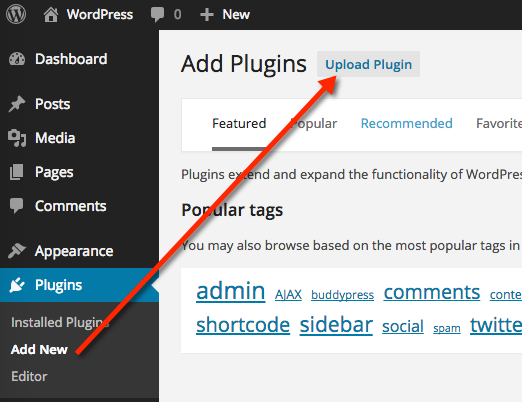 You can upload the ZIP file using your WordPress Dashboard; i.e. Dashboard → Plugins → Add New → Upload Plugin. See attached screenshots for example. No. All ZenCache Pro customers receive a free upgrade to Comet Cache Pro. If you have any custom ZenCache settings that you want Comet Cache Pro to import, then you can leave ZenCache installed until after you install Comet Cache. When Comet Cache is installed, it will look for any existing ZenCache plugin settings and copy those over to Comet Cache. Once Comet Cache has been installed, you can delete the ZenCache plugin. Yes. If you had ZenCache Pro installed prior to installing Comet Cache Pro, all of your ZenCache Pro configuration options will be picked-up by Comet Cache Pro automatically. Most likely, yes. We have built Comet Cache to be backwards-compatible with ZenCache so if you were using $GLOBALS['zencache'] or using the ZENCACHE_ALLOWED constant, these will still work with Comet Cache. See Step 1 above. You will need your username/password for ZenCache.com; i.e., the old site that was for ZenCache Pro. If you lost those details, you can recover them here. You should log into the new site at CometCache.com using the same credentials that you use at ZenCache.com. If you still have trouble accessing your Comet Cache Pro license, please open a support ticket and we'll take care of you. Please use a new license key for Comet Cache Pro. You will find your new license key for Comet Cache Pro at CometCache.com. Please check your My Account page. If the error is preventing you from accessing your WordPress Admin Dashboard, start over from scratch by following these manual uninstallation instructions for both ZenCache and Comet Cache. Once that's done, you can follow the Comet Cache Pro installation instructions. If the fatal error is not preventing you from accessing your WordPress Admin Dashboard, and you're seeing the fatal error while activating Comet Cache or removing ZenCache, see the following section. In WordPress Dashboard → ZenCache → Plugin Deletion Safeguards, make sure "Yes, uninstall (completely erase)" is selected and then click "Save All Changes" at the very bottom of the page. Now you should be able to activate Comet Cache without issue. If you continue to see a Fatal Error, follow these manual uninstallation instructions for both ZenCache and Comet Cache, and then try reinstalling Comet Cache.